Hi! 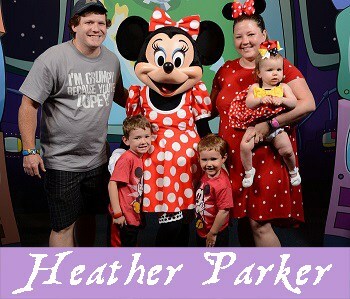 My name is Heather Parker, one of the Travel Advisors with Pirate and Pixie Dust Destinations. I’m a wife to Thomas and a mom of 3. I have 2 boys and a girl ages 6, 4, and 2. I have also been a Registered Nurse since 2009. I have always had a love for travel and a love for Disney. My love for Walt Disney World and other Disney destinations came later in life after traveling as a newlywed in 2011. I have since had my family’s passion and love for Disney only grow stronger. I consider it the most special opportunity to help families have the most amazing vacations they can have, and I always strive for 100% satisfaction. Thanks for considering me for your next family vacation! Walt Disney World, Disneyland, Disney Cruise Line, Universal Orlando, Carnival Cruise Line, Royal Caribbean Cruise Line, and All Inclusive Resorts.